Out of the 600 steers entered in the competition, the highest scoring individual steer was a Wirrabilla Fleckvieh/Angus steer. This Wirrabilla steer had an average daily weight gain of 2.63kg/day, and a final weight of 691kg at 16 months of age. It achieved full marks for carcase weight, full marks for P8 fat, full marks for marbling, full marks for fat colour and full marks for meat colour. The steer was 56% Fleckvieh and 44% Angus. The dam of this steer was a Wirrabilla commercial cow 7/8th Angus and 1/8th Fleckvieh, while the sire was a Wirrabilla Fleckvieh bull. Overall the Wirrabilla Fleckvieh/Angus steer team placed equal 8th out of 120 teams. 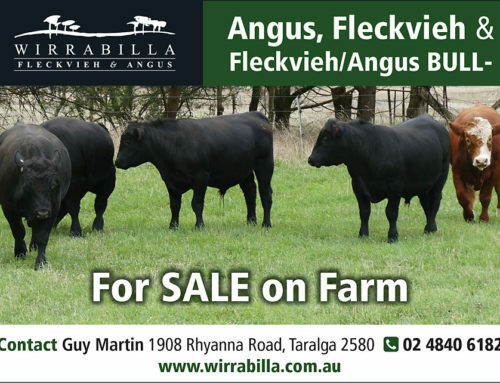 Wirrabilla Fleckvieh/Angus composite cattle performed exceptionally well in all areas trialled – feedlot performance and carcase traits. The trial results certainly dispel any perception that Fleckvieh composite cattle, as a European breed infusion, have a leaner carcase with lower carcase performance. 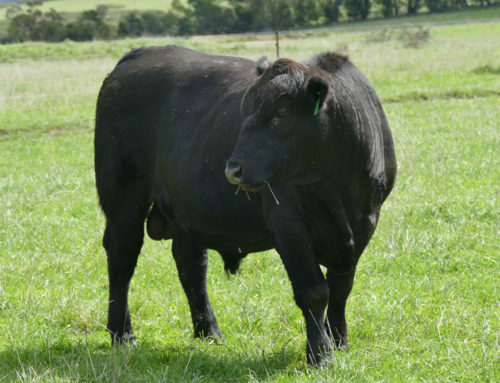 On the contrary, this trial demonstrates that Fleckvieh/Angus cattle marble exceedingly well, and in the majority of cases, better than other breeds. 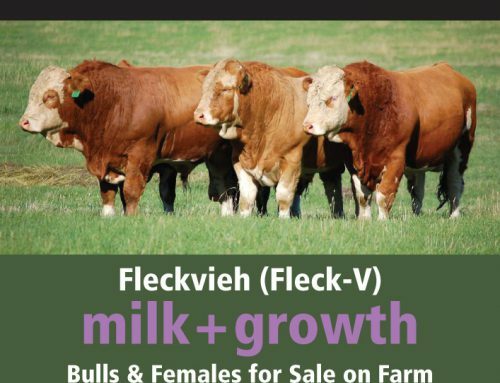 The Fleckvieh breed is dual purpose, having both maternal and carcase traits. In fact, the Fleckvieh is generally recognised as the highest milking continental beef breed. It is considered this superior milking ability, plus early maturing and moderate frame size, assist our Fleckvieh composites to marble and marble well. 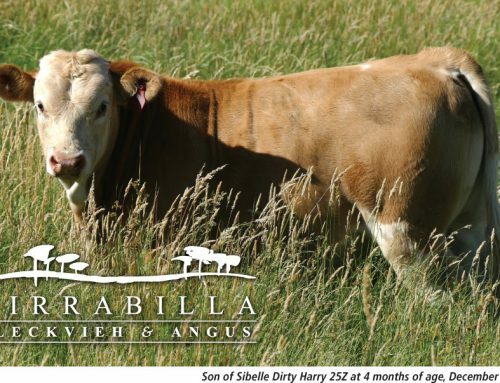 While the Beef Spectacular Feedback Trial is about feedlot and carcase performance and therefore selecting for prime feeder cattle, another factor we focus on at Wirrabilla is flexibility. 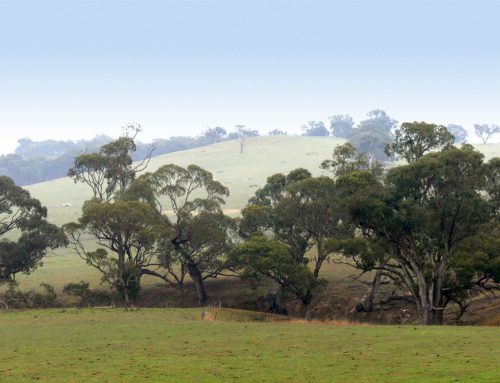 Successful farming businesses need to be flexible and adjust easily to changing seasonal and market conditions. The Fleckvieh composite is well suited to this. 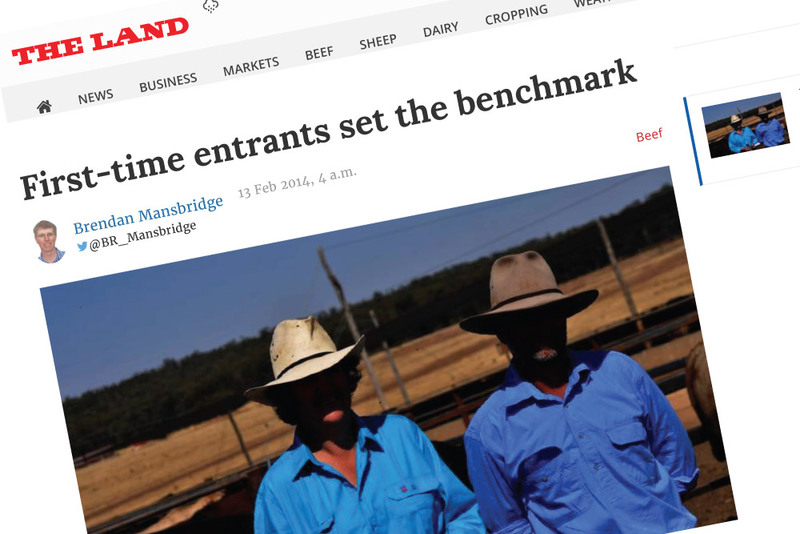 The Beef Spectacular Feedback Trial has highlighted the credentials of the Fleckvieh/Angus composite for producing a steer to perfectly fit the feeder market. But equally important to us, by combining the best of the Angus bred (marbling and fat cover) with the milk, growth and moderate frame of the Fleckvieh, we are also producing an ideal vealer calf. With constantly changing market and seasonal conditions, this versatility to produce prime feeder cattle as well as excellent vealer calves, is invaluable to the flexibility and so profitability of our operation.